With the introduction of new iOS 12, Apple has added a new functionality in Control center and it is “QR Code”. You can now customize the Control Center in iOS 12 and add a QR Code feature which then you can quickly scan any QR Codes directly from Control Center. You don’t need to open a Camera for scanning QR Code like iOS 11. QR Codes are the easiest way to read a piece of information using your Smartphone. QR Codes can be found in books, food products, electrical appliances, mobile applications, groceries, beauty products, health products, AppStore etc. You can quickly get its detailed information just by scanning that code using your Smartphone. Scanning QR Code from Control Center is now built into Apples iOS 12. Either you can scan QR Code with Camera or Control Center in iOS 12, you do not need to install other 3rd party apps to scan QR code from now. 6: Drag and swipe up down to the place where you want the QR Code. 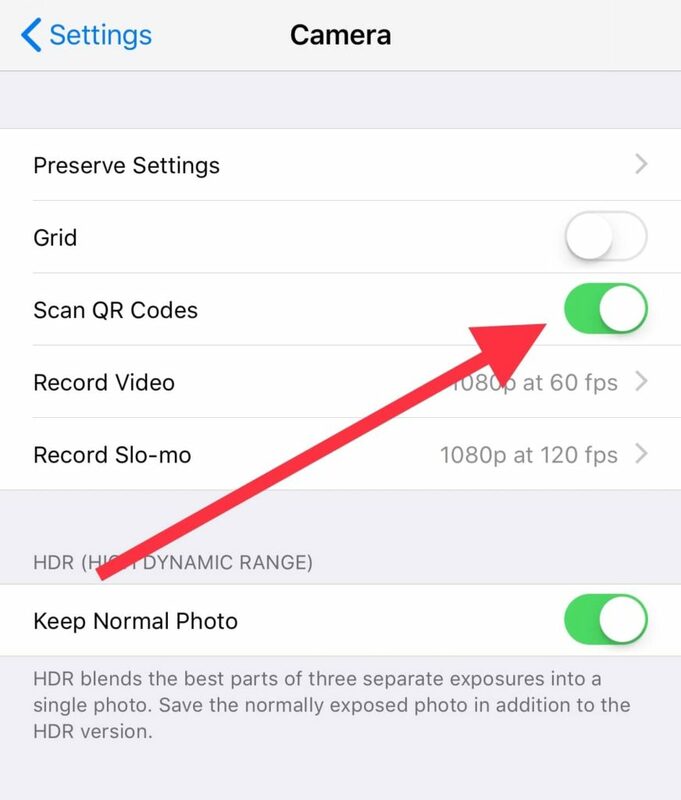 1: Before you start scanning QR Codes from iPhone Camera, there is one thing you need to do in the Settings app ie; enable scan QR code and for this go to Settings – Camera and Enable Scan QR Codes and open camera to start the scan. Step 3: Now you can place your mobile camera into the QR Codes object. After it detects the QR code, it will pop up a result in the banner. Tap it and you will be redirected to the Safari or any app with all the information about the QR code of any object you have captured. Likewise, you can scan QR code by 3D touching on Camera app. That’s it. Stay with us for more updates.